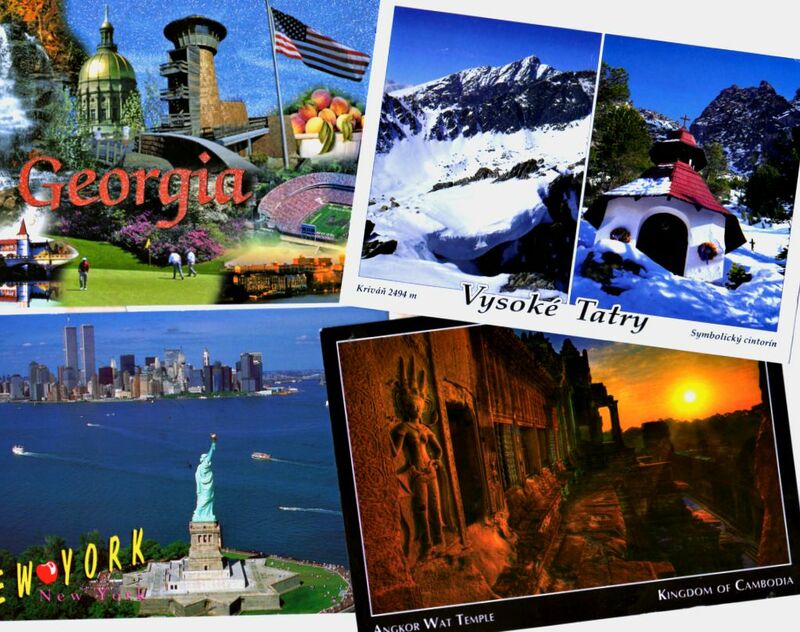 So, I bought a great big, cheap, “random” assortment of postcards through Amazon. They just came, I opened them up, and tried to keep my tears from falling on them. Did I mention they were cheap, though? 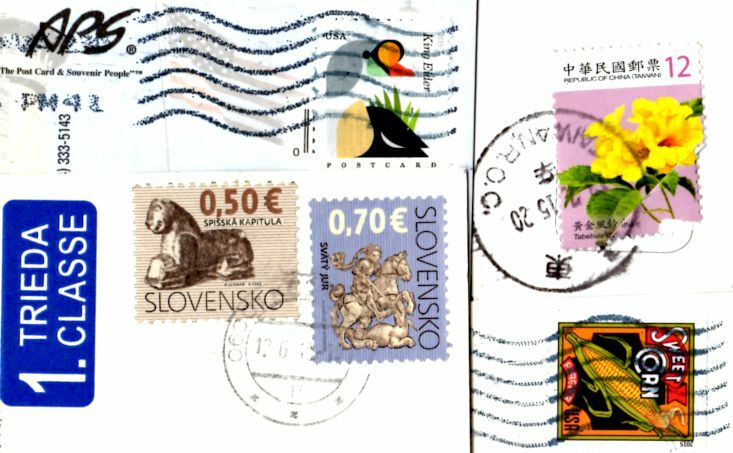 I’ll post specifically about the assortment soon, but for now: Postcrossing! Some of the cream of the crop. 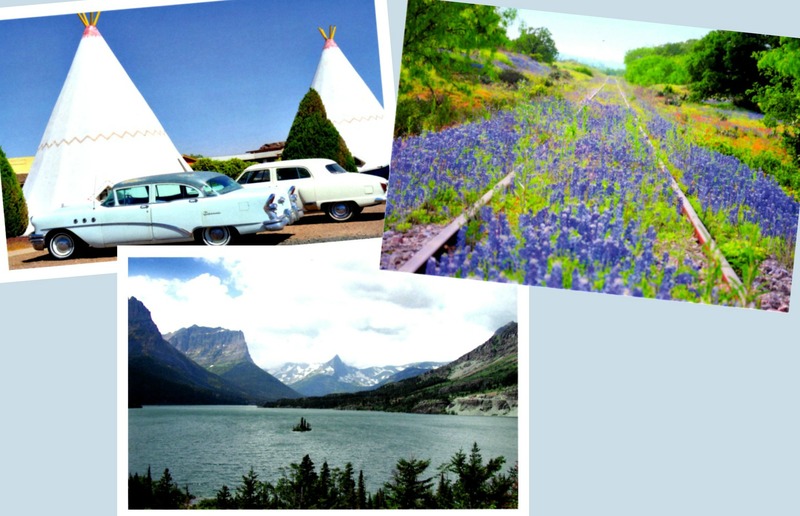 I’d be interested in hearing your experiences of buying bulk postcard assortments. The tipis, part of the Wigwam Motel in Arizona, are off to Erkrath, Germany. The Postcrosser describes himself as a man in his 50s living with his wife & daughter, and asks senders to surprise him with the card of our choice. I thought this odd scene might amuse & intrigue him. I told him what my internet search for this place turned up: it’s from a chain that started in the 1930s; this location is still open; these units have full baths, cable & AC; and this motel is its city’s largest tourist attraction. I was lucky that the postcard identified the subject of its photo: most of the ones in the assortment do not. Those beautiful flours on the railway, for instance: no information given. Pity. I’ll tell you where it’s going, though: to Cambridge, England. The recipient is brand-new to Postcrossing, and mentions enjoying nature. 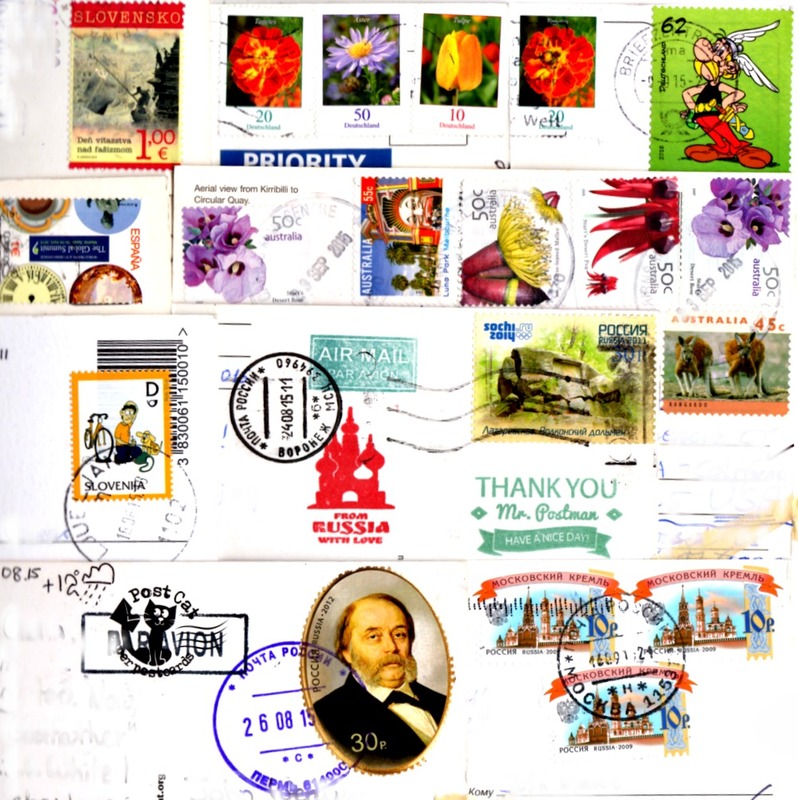 Mostly Postcrossing here, with a bit of Postcrossing Forum & swap-bot… Oh, who cares about the postcards–let’s skip straight to these stamps! The upper right, the upper right! What a cool Asterix stamp! Now, there is another guy with unfortunate facial hair on the bottom row, but I am not so impressed with that one. I think all of the stamps from Australia are wonderful, too. 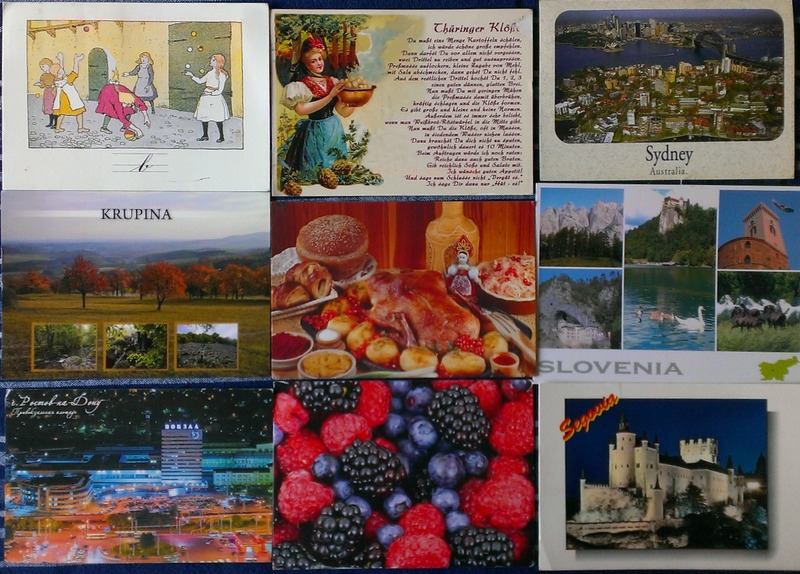 So, three of these cards are from Russia, two from Germany, and then one each from Australia, Slovakia, Slovenia, and Spain. Not that these even all arrived in the same month, but today is clearly Eastern Europe Day. And also Spain. Plus Australia, which isn’t even close to Europe, but does have its certain ties.